Are you looking for something slightly different while still traditional? Or do you just love a pop of color? 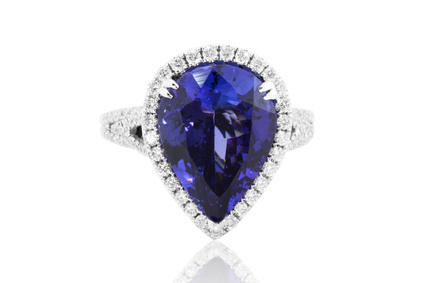 Either way a sapphire engagement ring may be a great option to consider. As a main stone or accent stone they work well because they are durable, ranking a 9 on the Mohs hardness scale (diamonds are 10). They come in a variety of colors, although many brides choose blue sapphires, as this color also gives them “something blue” on the big day. They are also readily available in the market place in both natural and synthetic varieties. Many more brides are considering a sapphire ring. They are rich in both symbolism and tradition. They are said to symbolize honesty and tradition. As well as being the traditional engagement stone of choice for the royal family. For example, Kate Middleton’s stunning 18-carat sapphire engagement ring, originally presented to Princess Diana. You also find other fashion trend setters such as Lady Gaga choosing sapphires for engagement rings. If you are considering a sapphire for your engagement ring or for any other piece of jewelry stop by today. The helpful professionals at Amoskeag Jewelers will be happy to help you choose the perfect sapphire.